It has been since early October since I reported on the blog. Since that time, a lot has happened. A remodel started that month on the San Diego home and it will, finally, be wrapped up by the end of this month, a nine month process and project. After attending the Healdsburg Guitar Festival in August, I became immersed into the world of one person and small shop custom guitar builders. In my quest for knowledge, I have made two wonderful new friends, Kevin Ryan (Ryan Guitars) and Jim Olson (Olson guitars and the guy who's guitars were made famous by James Taylor, Paul McCartney, Sting, Paul Simon, etal). I continued to write more songs for what would become my third studio cd project. In March of this year, I went into Blitz Recording Studios in San Diego to begin a three month effort that has produced what I believe to be, clearly, my finest work to date. 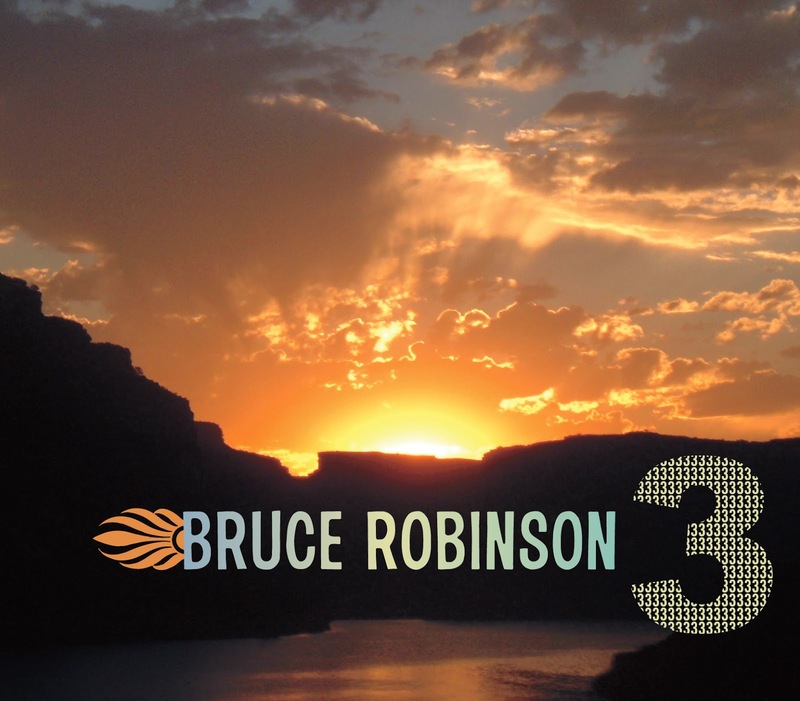 "3" has the same cast of fabulous touring and studio musicians backing me, along with the addition of a terrific pedal steel player to give the music a bit more country flavor). The new cd, "3", releases tomorrow and pre- orders are ready to be sent out. Be sure to get your order in to get your hands on my newest 17 original songs, another cross genre effort, leaning country, but with a jazz tune, a few blues numbers and a couple of rock songs. After finishing the recording portion of the cd, I drove from San Diego to Fairbanks, Alaska (3,500 miles). The drive took 6 days and included sightings of 20 black bear, a grizzly bear, 100+ buffalo, a red tail fox, 3 mountain goats and a couple dozen moose. We made the drive in late May as opposed to two years ago when we went in late March..............all frozen and white and minimal animal sightings (one wolf and one eagle). I am on the finishing stage of the Alaska/Seattle/Idaho trip. 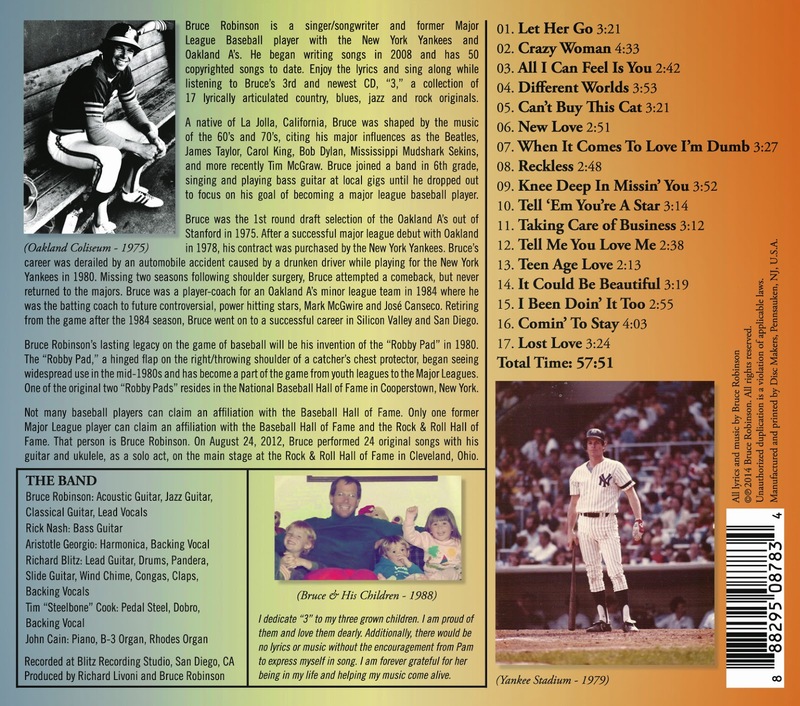 The new cd's arrive tomorrow so I will be busy packing and sending the existing orders. Then off to Las Vegas, Scottsdale and Phoenix before I return to San Diego for a few weeks or R & R.